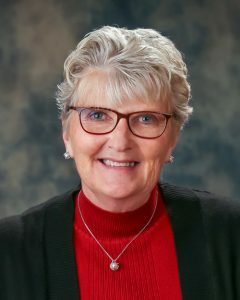 Patty Card joined KBBH in 1984 combining her love and loyalty for Klamath County with an unwavering commitment to the health and happiness of its most vulnerable citizens. KBBH’s longest-term staff member, Patty’s dynamic, high-energy approach to consumer-focused behavioral health care has served as the central hub for 35+ years of local impact. A powerful advocate for consumers, Patty’s work in fundraising, grant writing, program development, community collaboration, and administrative oversight sit at the core of KBBH’s growth and success. Her global perspective on over 30 individualized programs and services is driven by decades of experience in overcoming barriers to bring the benefit of dignified behavioral care to those in need. With Patty’s talent for administrative leadership and belief in the power of community service and consumer advocacy, KBBH’s relationships with staff, community partners, and collaborative agencies remain one of our strongest assets. In her spare time, she hosts foreign exchange students and college baseball players, serves as a Volleyball Official for local schools, volunteers for the warming center, and sits on various boards and committees serving youth and vulnerable populations throughout Klamath County. Patty is adventurous and loves crafting and the outdoors, but her proudest accomplishments are beating cancer and being a fully engaged mother and grandmother.